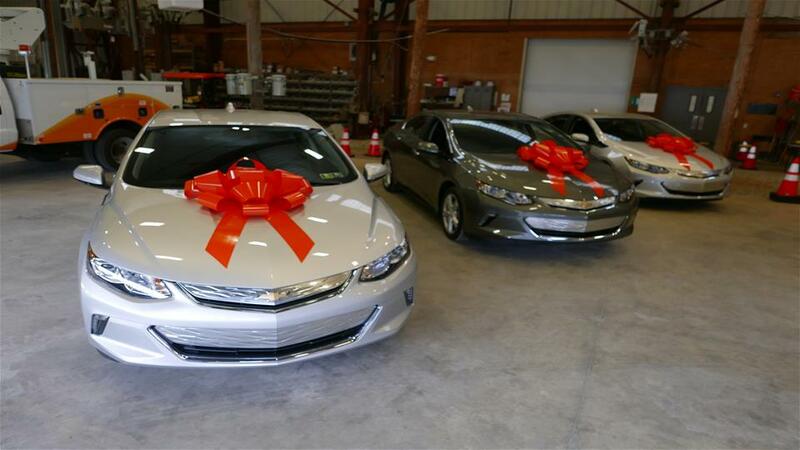 Duquesne Light Company & DQE Communications Surprise Three Charities with Hybrid Electric Vehicles. Click here to read the full press release and watch the surprise moment! works to strengthen communities by empowering more than 8,000 individuals and families in Allegheny County to live in stable housing, connect to community resources, build relationships and access quality food. An EV would expand the agency’s ability to provide transportation for customers to critical service meetings, healthcare appointments and housing searches. provides a range of community programs, including health and housing services, primarily to senior citizens and veterans in need throughout western Pennsylvania. An EV would enable NAMS to expand food delivery services to veterans, as well as transport individuals to appointments, the grocery store and the organization’s four senior centers. offers essential housing, employment and other vital supportive services to more than 2,700 veterans, service members and their families annually to improve self-sufficiency, sustainability and quality of life throughout western Pennsylvania. An EV would assist VLP in providing essential housing and supportive services as well as to conduct outreach at social service and veteran events.